I'm not an athlete, I just post photos of them on Instagram. I wasn't particularly active on social media post college working as a financial analyst but after taking a job as an athlete manager for an endurance sports company part of my job was working hard on behalf of the brand to promote their athlete's many accomplishments online. Once I went freelance and started traveling February of 2015 I realized I still felt more comfortable using social media as a medium to promote other athletes and events vs. focused on myself. That being said shooting the 4Deserts Last Desert race in Antarctica beginning November 18th (I previously shot for them in Sri Lanka which I wrote about for Trail Runner Magazine) required a considerable amount of gear that would be difficult for me to afford so I appreciate my friends at the following brands for helping where they could with some gear. I'm especially excited to be putting to use some Altice Chullo glacier glasses from Opticus, my uncle Fred Seitzman's company where I worked briefly after college to help him while he recovered from neck surgery. There I helped carve and dye lenses for glacier glasses and goggles, primarily for mountaineers and Antarctic researchers, and also helped as he developed Altice, his own prescription focused line of glacier glasses. 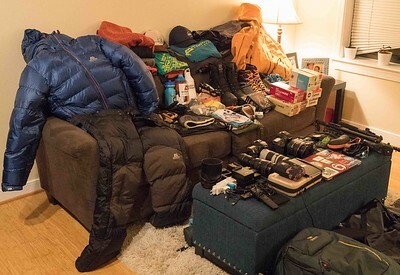 Pretty all of my cold weather apparel the last few years has come from Mountain Equipment on the recommendation of David "Powder" Steele which has been great for shooting in the backcountry or at skimo races. 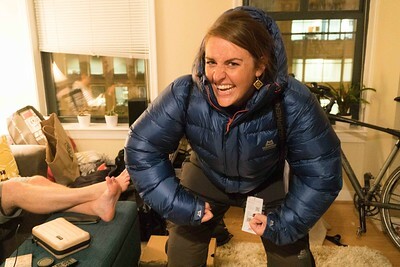 For Antarctica though I needed a really solid cold weather setup to get through seven days of hiking and standing still while shooting runners who stay warmer being active. 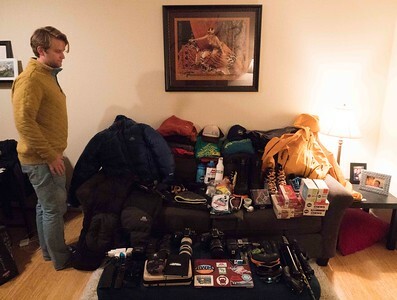 I'll be really comfortable in the Gasherbrum jacket, Lightline Pants, Tupilak shell, Eclipse Hooded Zip Tee, Dark Days Hooded Jacket, Epic Touring Pants, and Groundup Longsleeve Tee all of which I was able to cram into their massive 140 liter duffle. I'm really excited for the G2 Combi Mitt with a removable mitt which should be great for taking photos in the cold. In the 34 hours of travel to Ushuaia I've probably already gone through half of my supply of Stroopwafels and Chews from Gu, who have been great to work with over the last year at races like TransRockies and providing images for ads and product announcements like their gel flask, new gel flavors and their Stroopwafel. It's always great to work with a company of athletes dedicated to their product R&D and support of athletes and content creators. 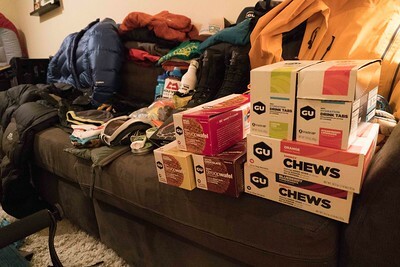 I can claim to be the first to "sponsor" Jim Walmsley back in 2013 but I knew he needed the help of a brand committed to supporting athletes in the ultrarunning community and fortunately Hoka stepped in after Jim's insane day at Western States. I bought some more traditional winter boots for the snow but saw that Hoka has been expanding their product range beyond running shoes so I'm curious to see how their lighter Tor Ultra Hiking boot hold up in Antarctica. The only brand 4Deserts trusts for microspikes which they require all runners to carry in Antarctica is Kahtoola, which I was happy to learn from their athlete Rob Krar were based in Flagstaff when I was staying there a few weeks ago. 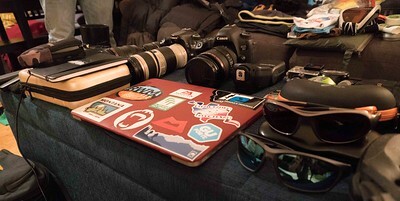 I probably should write a whole post about my normal setup of camera gear for a race. 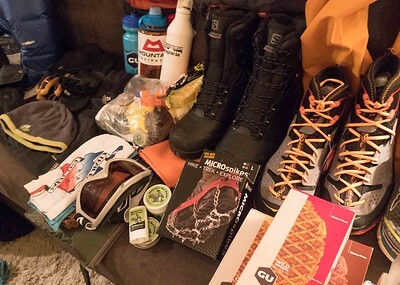 Having shot a lot of skimo races I should be pretty well equipped for 4Deserts Antarctica but after Sri Lanka I definitely made sure to come with a lot more redundant gear since I can't run to Best Buy if something breaks or gets lost (hard drives, thumb drives, batteries, memory cards, USB ports, power cables, remotes, lens caps, HDMI cables, etc...). I generally shoot races with a Canon 5D Mark iii as a primary and a 70D backup, which I like for the wifi capabilities during races (the 5D Mark iv just came with wifi which would be great to have). Ideally I'd shoot a running race with something faster than the 5D but everything else is just too far out of my price range, though I will rent a 1D X Mark ii for special shoots. Shooting races I have both cameras out and set up with a 24-70 on the 5D and 70-200 on the 70D (cropped frame for more zoom) with a 50mm in my pack (and a 24-105 as a backup in the car if the 24-70 breaks). I also finally jumped on buying a mirrorless camera with the Sony 6300, which with its small size should be great for taking on a run/bike ride or using for its video capabilities (though I'd never use it to shoot a race due to poor autofocusing). I also have a GoPro I rarely use other than sometimes being mounted on my 5D during a race for a POV shot. I have a basic MacBook Pro and 99.9999% of my photos are processed through Lightroom. 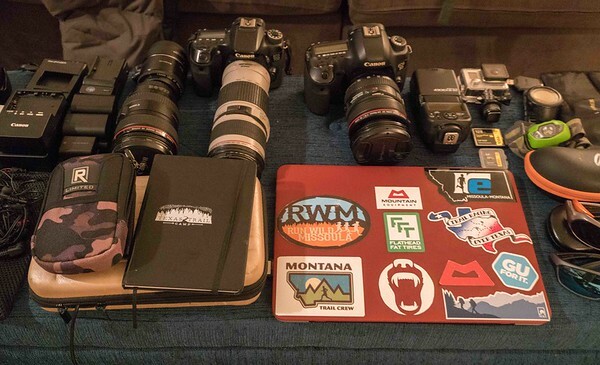 There's a whole assortment of other gear I pack but I generally go pretty light on race day as I'm normally hiking/running a lot shooting ultras. If you have any questions please don't hesitate to ask, and if you want a starter camera look at the T6i and upgrade the lens to a 24-105. It's a great entry level camera and I've had shots from my first T3i I bought out of college published by Outside Magazine/Runners World. While there are huge improvements with better gear most entry level gear available today can produce results lightyears ahead of what pros were using not so long ago. I'm a firm believer that the quality of a photo is more often based on the quality of its content than from the quality of the gear used to capture it and money that could be put into nicer gear is often better spent towards getting yourself to more places to use the gear you already have. 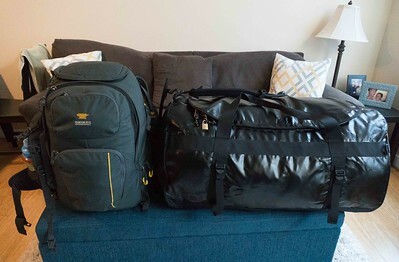 Also special thanks to Chris Cordingley and Kristen Smith for taking care of a dozen packages I sent to them and letting me explode my gear all over their apartment in DC. 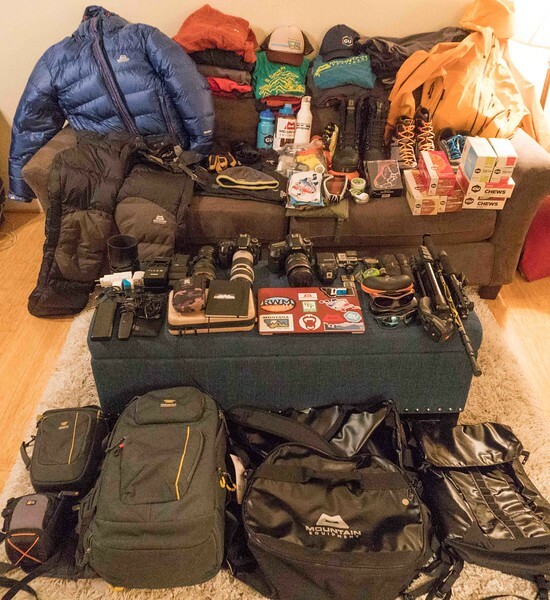 I've always disliked photos of pre-race gear spread out but considering I likely won't be in front of the camera much in Antarctica it's a small way for me to say thanks by sharing what I'm bringing. Considering how unique the trip will be for me I'll likely be doing more personal posts Instagram but you can also follow along for updates and photos on the 4Deserts website.